gutwin provides the legal obligations and requirements for 170 countries worldwide and makes it easy to review the global EHS legal compliance status. gutwin – because it’s the easier way …..
With gutwin – who are backed up by the leading certifying bodies – you can easily and safely satisfy the legal requirements of ISO 14001, OHSAS 18001, ISO 50001 and other standards. Why go to the laborious effort of analysing legal changes yourself when the gutwin Regulatory Amendments Service will notify you of your duty of action regarding the implementation of the regulatory amendment, summarised in a single sentence. 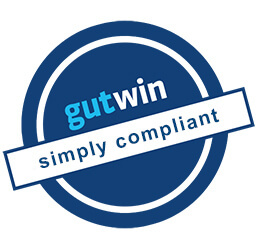 Why choose the complicated option – when it’s simpler with gutwin? With gutwin, you systematically and simply reduce your personal liability as a managing director, board member, plant manager, department head and authorised representative. 100% of our clients would recommend the gutwin software! Since March 2019 Gutwinski Management now also offers the gutwin legal management system in Switzerland. With gutwin, you can globally manage the legal obligations of environmental and occupational safety law for over 170 countries worldwide! "In my opinion, gutwin legal management software is by far the best and most practical legal management solution on the German market." 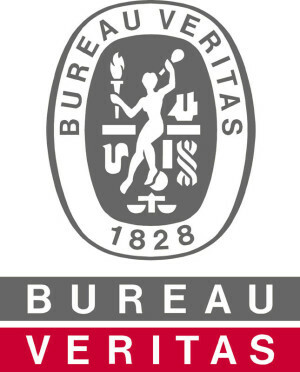 Founder of the “Environmental Agreement for Bavaria”, Senior Manager of B.A.U.M. e.V. 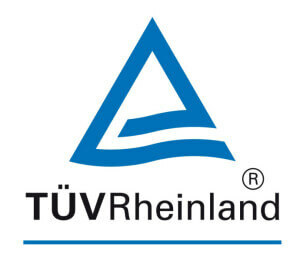 You can easily determine in gutwin which EHS laws and ordinances are relevant und this compile your own legal register for a contracted country. If you need support we can provide local assistance by phone or on-site. Legal EHS obligations that your company must adhere to on account of national or Federal laws and ordinances are prepared and made available in gutwin. You can determine the relevant obligations for your site by yourself by a special question system or you can make use of local expert. We explain the content of amendments to laws and ordinances in a manner that is understandable to non-lawyers. You are systematically informed of legal amendments and can process these amendments directly in the software. 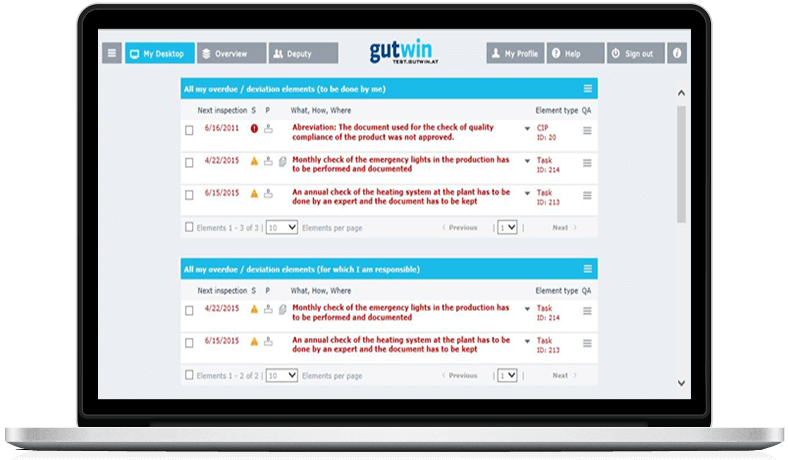 Systematically identify and evaluate hazards in the workplace clearly show your employees which hazards and risks exist within a system/process, by means of the gutwin risk assessment. Make automatically generated operating instructions from the risk assessment available to your employees. Record and manage all hazardous substances with the relevant safety datasheets and make this information available to the employees at the respective workstation. Make automatically generated operating instructions based on the risk assessment of the hazardous substance available to your employees. Record and analyse all accidents in the workplace and specify clear measures to be implemented. 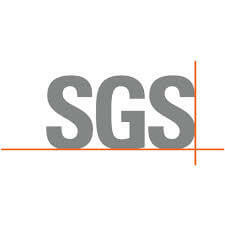 Use the statistical evaluations regarding the severity and frequency of accidents to reduce accidents. For us, individual and personalised support have gone without saying for 20 years; something that is greatly appreciated by our customers. A selection of our customers can be found here. Convince yourself of our competent solutions regarding the systematic implementation of legal compliance in environmental, health and safety (EHS) law, and energy law in your company. We look forward to giving you a free demonstration of the functions and processes of gutwin.